After earning his B.S. at the University of South Carolina in 1942 and M.S. 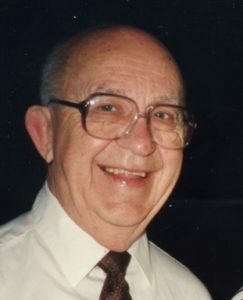 from Peabody College in 1948, Billy F. Bryant’s relationship with the Department of Mathematics at Vanderbilt University began when he earned his Ph.D. at Vanderbilt University in 1954. He immediately went on to become a faculty member, becoming a full professor with the department in 1966. He served as an irreplaceable teacher in the Department of Mathematics. He was best known for his research on loop-isotopes of quasigroups, writing joint papers with Professor Hans Schneider on the so-called Bryant-Schneider groups. These timeless papers continue to be cited over the years. Bryant served the Vanderbilt community in many capacities. He held the title of chair of the department from 1970-1976 and director of undergraduate studies from 1968-1970 and 1977-1985. In 1965, the university awarded him with the first Madison Sarratt Prize for Excellence in Undergraduate Teaching, and in 1986, he received the Thomas Jefferson Award for distinguished service to the governance of the university. Bryant’s legacy will continue to live on through the B. F. Bryant Award for Excellence in Teaching. Upon his retirement in 1986, Bryant’s family established this award to honor his success in teaching at the university. It is awarded annually to a graduate teaching assistant in the Department of Mathematics who has demonstrated concern for and accomplishments in teaching, qualities that characterized the career of Bryant. Bryant passed away on April 25, 2014.